Everything from the quality of the product to the friendliness of the staff to them going out of their way to ensure I understood all the details and was able to get what I needed was so far beyond my expectations. The sales associate (Mo Tamjid) even came to my house to pickup my trade-in. Amazing people and an amazing business that I wouldn’t hesitate to work with again. Truly the best of the best. Absolutely a delight to work with, friendly, helpful . Went out of their way to make us comfortable and to be sure we were taken care of. Large selection of new and previously owned, various models, of both Jaguar and Land Rover motor cars. Impressive showroom, customer lounge, and service area. The sales staff is experienced with impressive product knowledge. We left with an immaculate,like new 2015 Range Rover Sport. We’ll be back for our next vehicle (maybe a Jag!). This was my first service on my Jaguar XKR. My oil change and inspection took about two hours. Sally the service advisor was just great and explained everything thoroughly.. Everything went smooth and I passed the time reading and working on my computer with their fast internet. There lounge is great. Thanks so much. Our lease was up on our jag. Instead of turning it in we were going to buy it. Instead of hunting around for the best deal they bought our car from us, discounted it then sold it back to us at a better price. Then got us financing where we were paying exactly what we were during the lease. One major problem....WHERE IS THE OTIS SPUNKMEYER COOKIES!!! The folks at Jaguar Land Rover Seattle did an awesome job. Clear communications regarding the repairs, timing and costs. The work was done on time as communicated. The loaner car was ready on time and was a nice car. The service advisor was very knowledgeable and got answers to my questions immediately. I highly recommend. 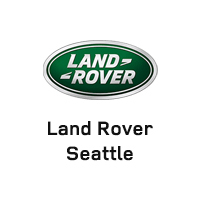 Kuddos to the team at Jaquar Land Rover Seattle! Cheers! Very nice service rep!! Was told 2 to 3 hours ended up 5 1/2 Problem with new air bag NOT PLEASED!!! They tried to smooth it over but it was a problem!! Even though our car did not get the repairs done we were able to take a nice loaner car home until the repairs are complete. I was very happy about that!. We live 90 miles away from the dealership and and it’s not always so easy to take the day off to get there.